Care and support for children with long term illness. We are local volunteers of Solace, spread across multiple cities in the U.S. Solace firmly believes that, in order to support the child in need, we also need to support the impacted family. 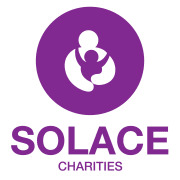 SOLACE CHARITIES INC accepts donations. Donate Now. Would you recommend SOLACE CHARITIES INC?